What a day we were having! A glorious walk between Barrow Wake and Colesbourne, and we had found 3 trackables too. But we had one more cache to find, back at Barrow Wake. We drove back from Colesbourne to the starting car park at Barrow Wake and our other car. A few weeks previously we had solved a very clever puzzle cache and its final location was near the car park. (Well nearish, the 3/4 mile seemed an awful lot longer after a long day’s walking). Now there are two ways to solve this puzzle. 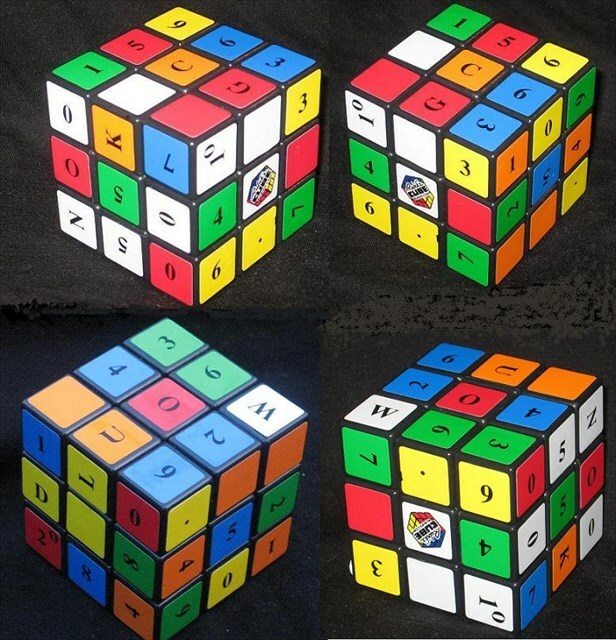 The first, is to find a Rubik’s Cube you may have about the house, stick 54 small squares on it, so that the original Rubik’s cube has been masked, and then solve as a standard Rubik’s puzzle. (Mr Hg137 can’t do them, Mrs Hg137 can!). Or… there is another way. Editorial constraints forbid me from telling you the other way.. but with both of us working simultaneously, after an hour’s brainwork we agreed an answer. So we wanted to find this cache. After a long day, our aching limbs at first rebelled, but soon recovered especially once we had the cache in hand. Now, some puzzle caches can be a disappointment. Tremendous effort can be put into the solve and the final container is a nano or a film canister. This cache was different, a bulging container full of goodies! A great end to a great day! While walking along the Downs Link Way, a disused railway, now a long distance footpath, we stopped to find the neatest, tidiest cache ever. And inside was this trackable. It’s one of three, released in Fuerteventura in the Canary Isles in October 2016 by caching friends Schnitta, Mauerwache, and O.o.Z. The idea was for them to race back home to Hamburg. How did they all do? Unfortunately, ‘our’ trackable has already lost the race. The other two trackables have travelled at least 10,000 miles each, have been back to Hamburg at least once, and are still in Germany. 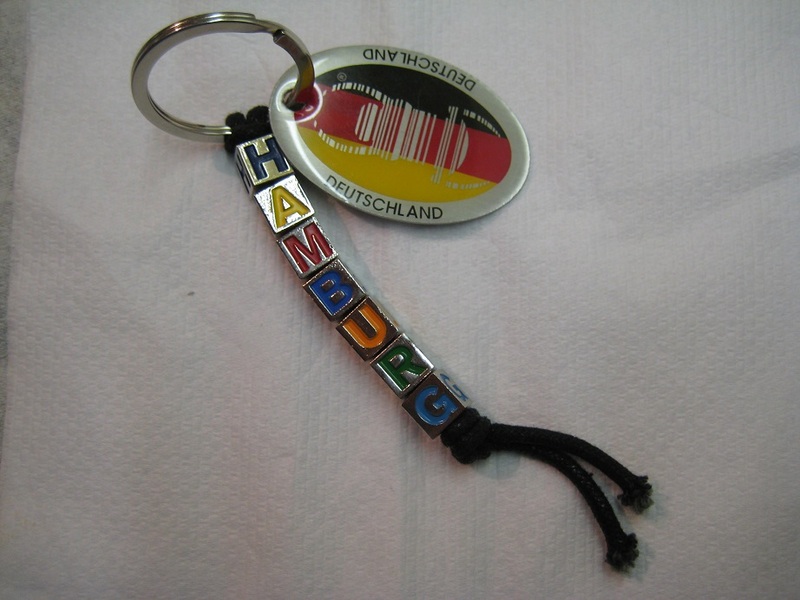 This trackable has only travelled 2,500 miles and is not back in Germany yet. It was brought to England from the Canary Isles and has been there ever since, travelling via Yorkshire and Dorset to the Surrey Hills where we found it. Though the race is lost, we’ll continue the intention of the race and move the trackable on to somewhere suitable – maybe a travel bug hotel near an airport, possibly Gatwick, if we can find one. Some trackables are really exciting to hold or look at. A beautiful and heavy geocoin, perhaps or even a plastic duck. Imagine then when the trackable we found in Hampshire Driveby Series, is only a piece of paper! The owner, Fred Bull, did in fairness own a geocoin, with a picture of a walking hamster. For about 2 years Fred Bull took the geocoin on their own geocaching adventures. 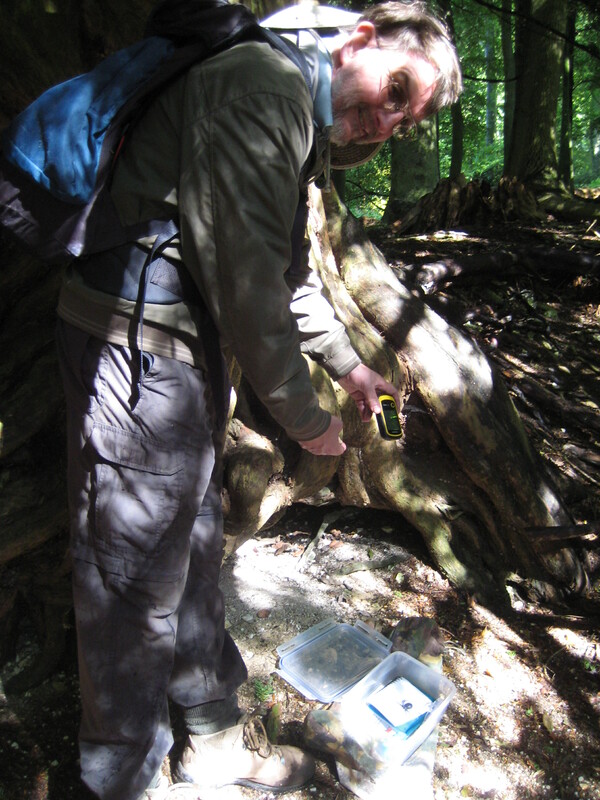 In that time Fred Bull visited many caches throughout the Europe. Eventually Fred Bull decided to keep the geocoin and send a piece of paper in its place. The paper trackable was then taken around the world, including the last remaining Project APE cache in Brazil. 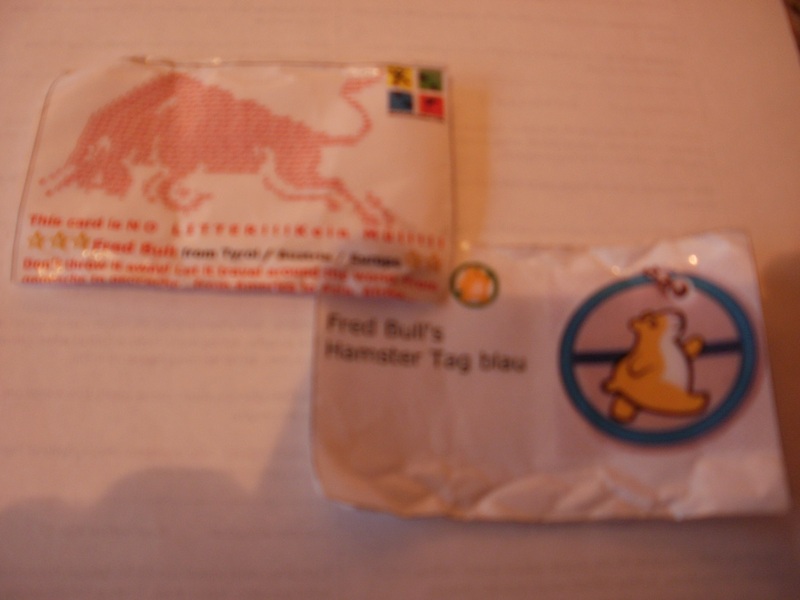 In its many adventures, Fred Bull’s Hamster Tag Blau has rarely visited the UK. We will endeavour to place it somewhere iconic. Hello, Mrs Hg137 here again. A Travel Bug is usually a dog tag that is attached to a “hitchhiker,” or an item that travels from place to place. If you found a Travel Bug the first thing you need to do is “grab” it online so you can add your own story to its journey. In order to log your find and “grab” the Travel Bug, you first need to locate the Bug’s tracking number. The number is normally on the dog tag that is attached to the item, or, in the case of Geocoins, is stamped on the item somewhere. Make sure to write this number down before dropping the item in another cache. You’ll need it to locate and “grab” the Bug online. Each Travel Bug has its own web page. 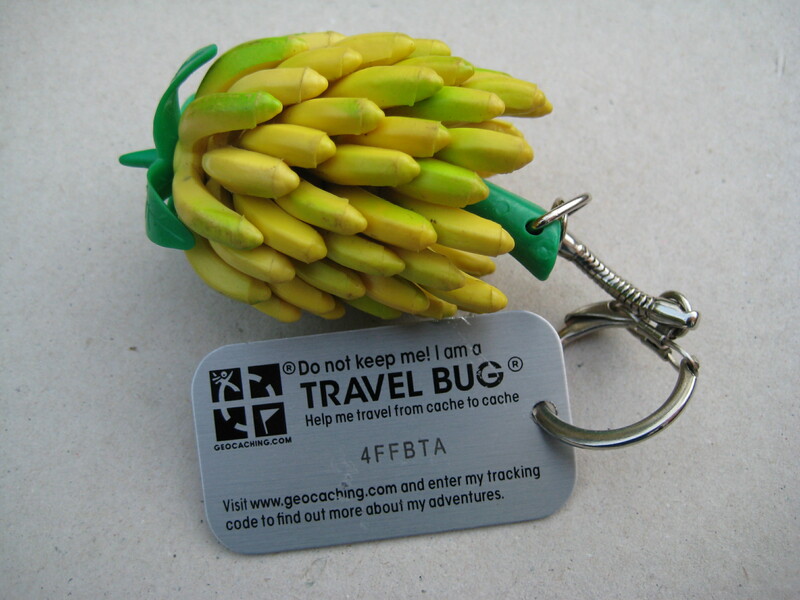 To visit the Bug’s page, either go to the cache page for the geocache where you found the Bug and look for the Trackable in the inventory list, or visit the Travel Bug home page and use the search tool. To use the search tool, enter the tracking number in the supplied box and click the search button. Step 3. Found it? Log it! Once you reach the Travel Bug listing, you will need to write a log to let the owner know that you found it. By logging the find you are also ‘grabbing’ the Travel Bug and putting it in your account’s online inventory. This will ultimately allow you to drop the Travel Bug in another cache. I hope you find this little guide helpful. It’s not original – 95% of it is a straight copy from the geocaching site. 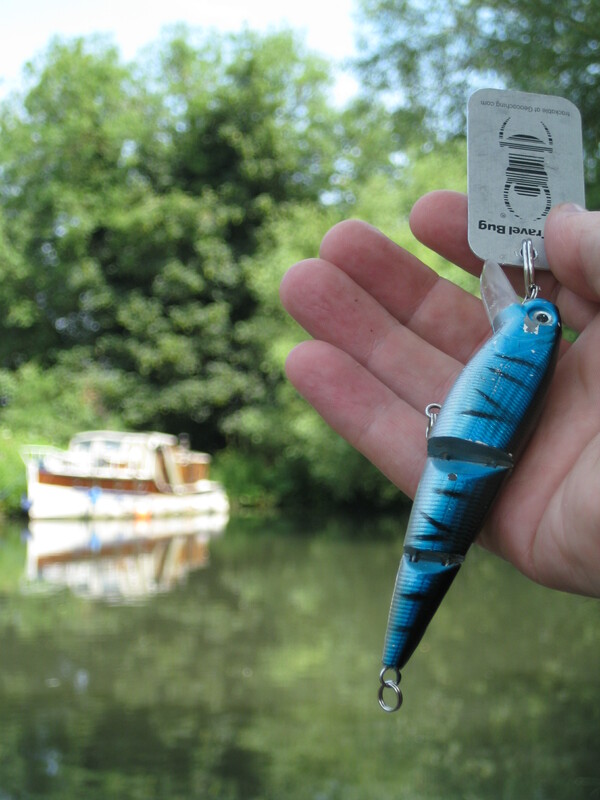 Geocachers spend time, money, and ingenuity on buying and personalising trackables, and I think that they deserve to know how their little protogees are faring out in the big wide world. 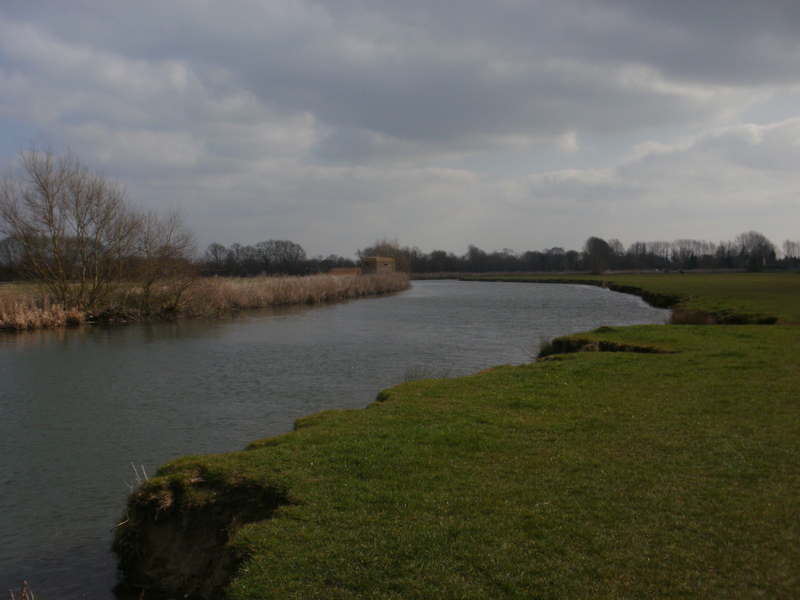 Down by the river at Lechlade, it still felt like winter: there was hazy sunshine and a cool breeze. But there were signs of spring: fishermen, very well wrapped up against the cold, and people messing about with boats, preparing them for the boating season. Before heading onwards, we backtracked a short distance to take another look at Inglesham Roundhouse. Then we turned back in the ‘right’ direction (towards the sea) and under Ha’penny Bridge. Lechlade looked – and sounded – lovely in the morning light, with a peal of bells ringing out from the church. A little way downstream we reached St John’s Lock, the very first/last lock on the Thames. 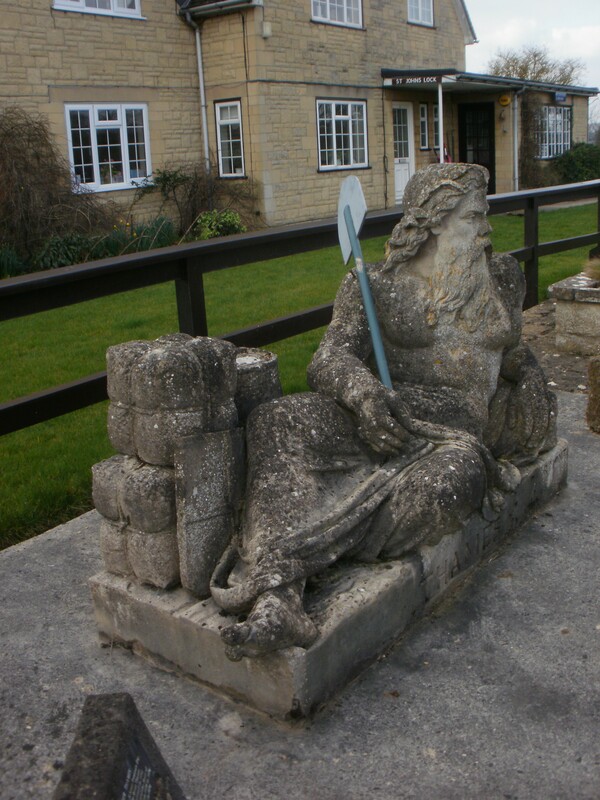 Here is the statue of Old Father Thames, watching over the lock; he used to be at Thames Head but he has moved here where it is busier and there are more folk to watch over him and keep him safe. 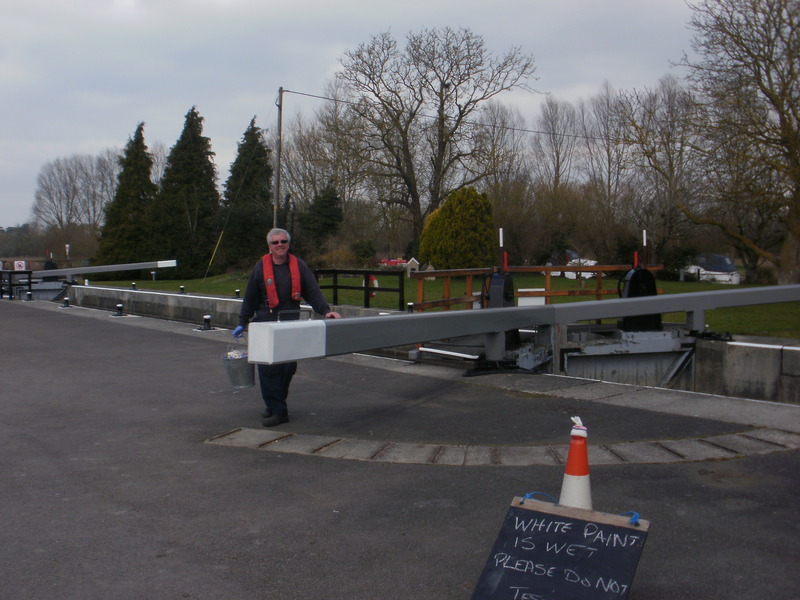 Here, too, was a lock keeper, painting all the bits on the lock that need to look smart for the summer. Leaving the Thames Path, we passed the Trout Inn and headed along a footpath to grab two brand new (this month) caches, Lechlade Wander 1 & 2. There are few geocaches on or near this section of the Thames Path and we wanted to get as many as possible! Both are in excellent condition and well placed – well enough to give us a few minutes searching time on each cache. It seemed a good place to leave the trackable, Hopkin the bunny, to continue his conquest of the world. Back on the trail, we walked on to Buscot Lock, the smallest i.e. shortest lock on the Thames, and where we met another lock keeper, busily painting. Just before arriving, we ‘happened’ on another cache. Strictly speaking, we should have walked into Buscot, solved some clues, and returned to the riverside to claim the cache. Instead, we read the description and the hint ahead of time, and decided to search among the most likely places where a cache could be placed; we got lucky at one of the first few places we checked; the National Trail geocoin was dropped off here. But we did walk into the village, which is owned by the National Trust; it’s slightly over-neat in that way that NT properties often are, but very pretty and a good (though chilly) spot for lunch. By now the sun had gone, and the wind was keener, so hats and gloves went on for the rest of a rather bleak, cold walk. There were no caches to be found till Kelmscott, the next village, so we pressed on into the wind. 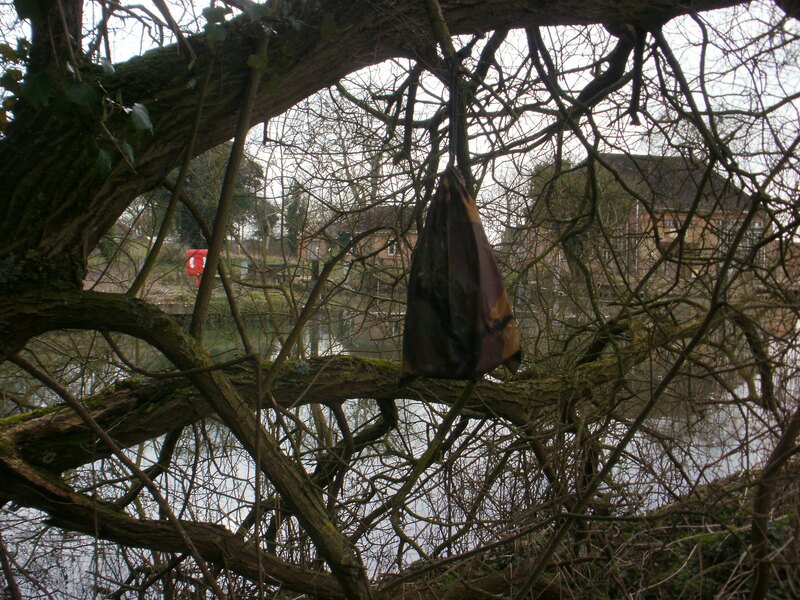 We were getting cold, so, of the eight caches in the ‘Around Kelmscott’ (AK) series, we just found the three caches along the riverbank and then moved on. Kelmscott is associated with William Morris (of the Arts & Crafts movement) and the cache series has a good number of favourites, so we may come back this way soon to finish off the AK series and do some sightseeing in the attractive village. The river meandered to and fro, peppered at intervals by pill boxes, part of the WWII defences of ‘Stop Line Red’. Most of them are still in fair condition, and you can get inside some of them. One of the AK series was hidden in a pill box; it was very neatly hidden (though I am short and it was a little out of my reach). This cache turned out to be one of the slipperiest ever – both of us dropped it at least once and much searching was needed for the already ‘found’ cache! Grafton Lock – with boat! On along the river, we reached Grafton Lock, where yet again there was wet paint (those lock keepers have been very busy!) And there was a boat in the lock, the first moving craft we’ve seen on the river so far; we stopped to talk to the boaters and their boat-dog; they were heading to Lechlade for the night, then back the next day. There was just one more geocache to find, close to Radcot bridge, the end of our Thames walk for the day. We made much too much of finding this final cache, and were on the verge of giving up before Mr Hg137 spotted it, hidden in a tree near the bridge. And finally, on to the geocar, which was parked near the Swan Hotel by the bridge. Friday 13th … but that doesn’t bother us especially, as we were both born on that day – same day, same month, different years – so we don’t regard it as unlucky at all. As well as being geocachers, we both play Scrabble (competitively, for money! ), and a tournament was taking place on the Isle of Wight over Valentine’s weekend. Last year Mr Hg137 had won free hotel accommodation at this year’s event, so it was not to be missed. And Mr Hg137 also had a delivery to make on the island, for his business, so there were even more reasons to be there. But, along with all this other ‘stuff’, there was still room for a little caching. We’d selected a number of caches in and around Rookley, the delivery destination, but the rain had begun to fall, hard and steady and cold, and we refined our list of caches to those that were on good, well surfaced paths; it would not look good if we turned up to the hotel/tournament bedraggled and mud-covered. Our first cache was the ‘Pagham Cache & dash’, on a pleasant country track dotted with snowdrops (much further ahead than on the ‘cold northern’ mainland). 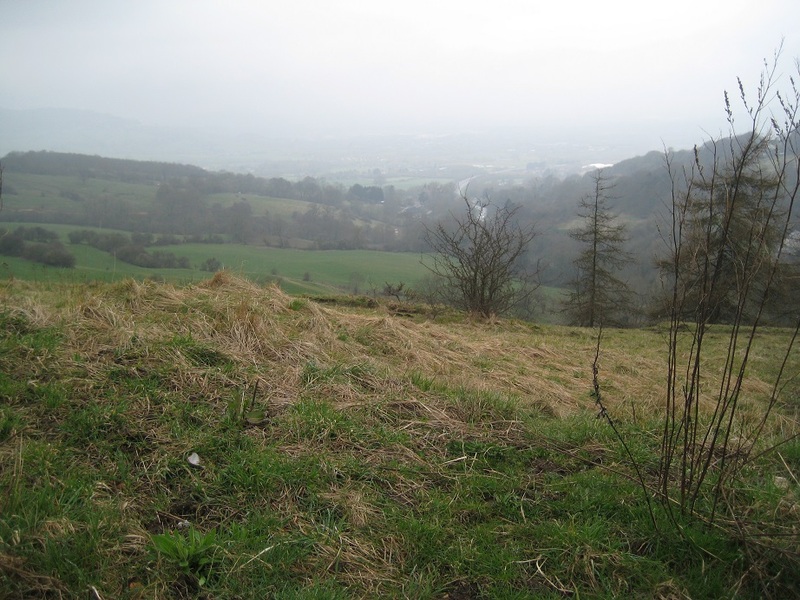 We found the cache quickly in the pouring rain, dropped off the West Yorkshire Flag trackable, then ate lunch while drying out a soggy cache log with the geocar heater. We moved on to Merstone, where a disused railway now forms part of National Cycle Route 23 http://en.wikipedia.org/wiki/National_Cycle_Route_23 and had a semi-successful (more later) search for a cache near the former Merstone station, before moving on to another cache further along the railway line. By now the rain was falling at a 45-degree angle, driven on by the wind, and we turned tail and retreated back to the old station. We still aren’t sure if we found what we searched for – at the cache location there were signs of recent grass/tree cutting and we didn’t find a cache container, BUT we did find a cache log, lying on the ground. We’ve signed that, wrapped in in plastic, and hidden it where the description says it should be, but we are still uncertain if we actually found the cache, or if the log just got detached from everything else. We have logged the cache, but are happy to de-log it if we didn’t find the real thing. We have finally finished our answers to Washknight’s interrogation – see http://washknight.wordpress.com/tag/washknight-interrogates. Here are the answers: they are an amalgam of both our views; where we couldn’t agree, both our answers are given. 1. When and how did you first get into geocaching? Mrs Hg137: about 2 years ago, a landmark birthday was approaching for Mr Hg137 ; I bought him a GPS as a present. I’d heard of geocaching, and, as we both like puzzles and both like walking, it seemed like it might be a good idea. 2. Do you remember your first find? Mrs Hg137: Yes – it was on the Ridgeway, the long-distance path we were walking at the time. It was in woodland, hidden in a camo bag in yew tree roots. I was really, really chuffed that we’d managed to find something! 3. What device(s) do you use for locating caches? It’s a Garmin Etrex 10 – the cheapest possible GPS available. We chose it together (Mrs Hg137: no, I wasn’t being cheapskate with the birthday money!) as we thought that if we didn’t like geocaching, or dropped/broke/lost the GPS it wouldn’t be too great a loss. And it turned out to be great fun. We live in Sandhurst; there are LOADS of caches around and about. Many of the immediate caches are puzzle caches, which are very slowly working our way around. Within a short-ish drive we’ve been able to find several routes in local footpaths with about 15-20 caches. There is a lot of Army land near us, which prevents certain access, indeed the Royal Military Academy at Sandhurst is almost visible from our doorstep! 5. What has been your most memorable geocache to date, and why? The cache was called “Basingstoke Canal Swing Bridge”, a terrain 3, difficulty 4.5 cache. We knew it existed but never had a canoe to go under the bridge. …. but let’s rewind the clock 2 hours earlier..
We attended a cacher’s meet to celebrate ‘Cacher’s Maker Day’ in Fleet/Church Crookham. After the meet, we then undertook a few caches placed for the occasion. We arrived at the canal bridge with the intent of crossing it and returning to our car. Mrs HG137 then realised she had a key which unlocked the swing bridge! (Don’t ask why !). While we were discussing whether to unlock the bridge along came a few other cachers. As a team we unlocked the bridge, manhandled the bridge open so it was over a bank and clambered underneath. Very muddy, very smelly, and after a few minutes the skinny under-bridge crawlers (including Mr Hg137) were triumphant. Teamwork.. but probably not how the cache was to be found! 6. 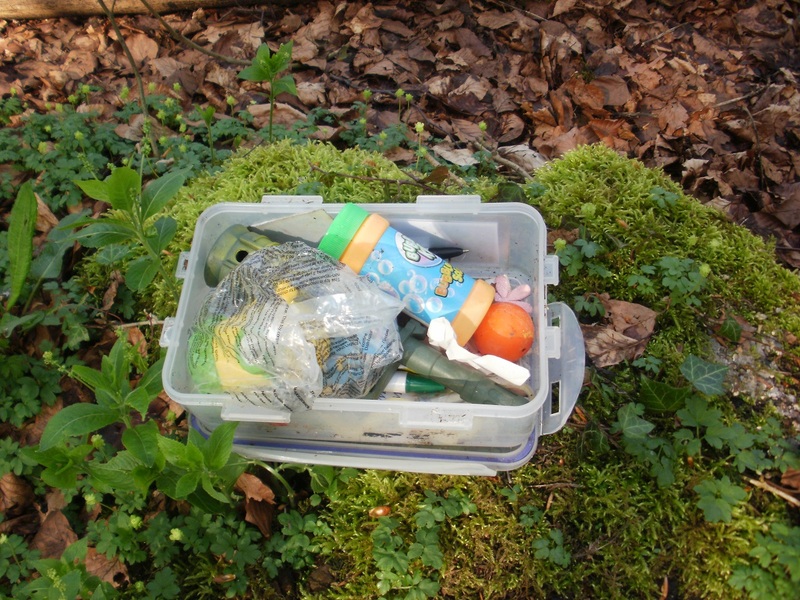 List 3 essential things you take on a geocaching adventure excluding GPS, pen and swaps. Camera (to take pictures for the blog), a Swiss Army knife (well, you never know), and a map/screen print of where all the caches are, so we know their relative positions to each other (and we can make notes on the back). (We zigzagged around far too often early on!) (One of our cameras has identical batteries to the GPS so we’ve tended not to take spare batteries). 7. Other than geocaches and their contents, What is the weirdest thing you have discovered whilst out caching? 8. On a scale of 1 to 10 where 1 is I am obsessed by numbers and 10 is I am all about the experience and the quality of each individual cache. Where do you put yourself? 9. Describe one incident that best demonstrates the level of your geocaching obsession. Mrs Hg137: it’s got to be Mr Hg137 driving, fruitlessly, repeatedly, around Hampshire and Surrey on missions to bag ‘Jacob’s Moving Cache’. 10. Have you picked up any caching injuries along the way? Only the usual cuts, bruises, wet feet and muddiness, and (once) mild hypothermia. 11. What annoys you most about other geocachers? 12. What is the dumbest thing you have done whilst out caching? 13. What do your non caching family and friends think of your hobby? Some get it, some don’t. 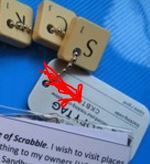 We also play a certain amount of competitive Scrabble (that’s how we met) so we are accustomed to having an unusual hobby! 14. What is your default excuse you give to muggles who ask what you are up to or if you need help? Because we cache as a pair, invariably we can ‘cover’ for each other. Taking a camera helps, as we can always be posing to take a photo for a “Wildlife” competition ? 15. What is your current geocaching goal, if you have one? We set a goal for 2013 to complete an average of a cache a day for the year, which we achieved by September 2013. That’s why we started the blog, as an online diary of this goal. 16. Do you have a nemesis cache that despite multiple attempts you have been unable to find? There are two current ones: ‘Wisley Trailblazer’ and ‘Off your trolley’ (Sandhurst). We’ve had several goes at both of these and we just cannot find them. ‘Wisley Trailblazer’ was originally published with no hint, and is the RHS Wisley Car Park. It took almost a month for the FTF, and we’ve tried to find it on at least three occasions all to no avail. The ‘Off your trolley’ is one of our closest caches just off a muggle-rich supermarket car park. We’ve tried on numerous occasions including the muggle-less day of Christmas Day! 17. What 3 words or phrases best sum up what geocaching means to you. We did find this on our travels in Wiltshire and I think it says it better than we can ! 18. What prompted you to start blogging about geocaching? 19. Which of your own blog entries are you most proud of. Mr Hg137: Reading back over some of our early blogs, our writing style has changed, and has possibly become more light-hearted. We also blog about the trackables we find, this draws many readers in (mainly from Germany!) who try to use our blog to log trackables virtually. Mrs Hg137: The best blog posts, and the easiest to write, are those where something unexpected has happened when out on our caching trip … calling the fire brigade … forgetting the GPS … having to ford a river … The ones where everything goes to plan are much harder to write about. 20. Which other geocaching blogs do you enjoy reading?